This cd features a union of a 2000 year old Yogic meditation practice with trance-inducing drumming, masterful Indian Sitar and Tamboura, and euphoric Mantra chants. 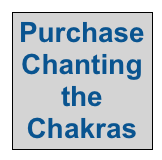 By chanting the seed syllables of the chakras, you can retune your mind and body in a Yogic manner, resulting in deep relaxation and well-being of the entire self. This recording is stunningly beautiful, whether you choose to chant along or simply listen. The mesmerizing mantras, chanted in their original Sanskrit syllables by master musician Amit Chatterjee, are accompanied by enchanting Sitar melodies and Tambour drones and soothing Bansuri bamboo flute which flow over a solid foundation of steady, hypnotic drum beats. First released in 2000 by Interworld Music as Roots of Awakening. "From ancient times and distant civilizations, drumming and chanting have been bundled together as one of the single-most potent ways to reach spiritual transcendence. Few Westerners have studied and refined these practices with the fervor shown by Layne Redmond's work as a performer, ritualist and historian. 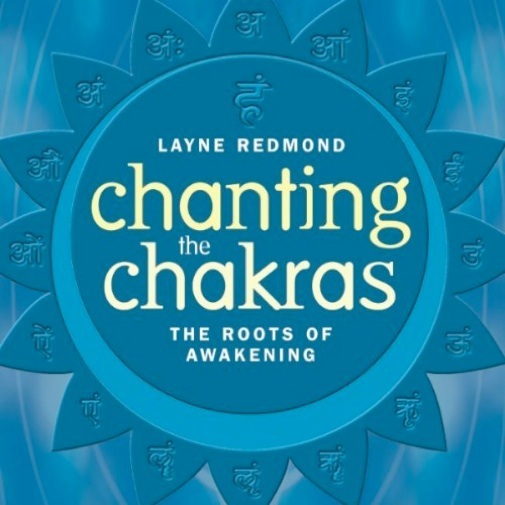 On her third CD release, Chanting the Chakras, the Roots of Awakening (Interworld), Redmond presents cleansing and awakening Nada Yoga meditation practices in three extended mantras that are chanted in original sanskrit syllables. These repeated phrases are designed to fine-tune our internal energy complexes known as chakras, which affect our emotional, mental and physical bodies. Whether or not you study Yoga, or even believe in its benefits, the effect of these performances is hypnotic and alluring, and can calm even the most frantic moment. Along with Redmond's masterful frame drumming, the album also features Tommy Brunjes on Udu drum and percussion, Amit Chatterjee on sitar, tambour and chanting, Steve Gorn on Bansuri bamboo flute, with Laurel Massé supplying additional chanting. Chatterjee's monotone vocalizations float above droning sitars and tambour that are colored by subtle flute and bells, while Redmond supplies deeply resonant frame drumming that is remarkable for its range of tones. The CD booklet contains highly detailed liner notes written by Redmond, which explain the philosophies and traditions behind these performances, accompanied by illustrations of the seven chakras. Always thorough, she leaves no stone left unturned. In a world full of copycats and wannabes, Layne Redmond is an original. She plays music to make your body and mind feel better. Few can claim to do that."